A swaying elephant. A feather-plucked parrot. A pacing tiger. For many exotic animals, the signs of poor welfare in captivity are easy to spot. But what about reptiles? How can we tell when a snake is suffering? Can a snake suffer? Thanks to a growing interest in reptile cognition and behaviour, the view of reptiles as robots is slowly changing. “We’re discovering more and more about their abilities all the time,” says Cant. Research now shows, for instance, that reptiles can navigate mazes, solve food puzzles and use tools. They are known to hunt in groups and take on babysitting duties. Some even play games like tug-of-war and keep-away. Myth: Reptiles don’t need a lot of space. “There’s a perception that reptiles are lazy,” says Cant. But studies of wild reptiles have shown many to be highly active animals, travelling within home ranges several hundred square metres to hundreds or thousands of square kilometres in size. “Yet we’re still keeping snakes in tanks that don’t even allow them to stretch out straight,” says Cant. Myth: Reptiles don’t need a complex environment. In the wild, reptiles have plenty of activities to choose from – like basking, foraging for food, burrowing, climbing trees, patrolling territory and searching for mates. “They don’t just lay around all day,” says Cant. “But lots of products made for reptiles still reflect this view.” So-called ‘starter kits’, for instance, allow an animal to do little more than perch, hide, eat and drink. Yet, she says, these kits are advertised as having all of the elements necessary for the animal to ‘thrive’. Myth: Reptiles don’t need specialized environmental conditions. Pet stores routinely tell customers that all reptiles need is a cool area and a warm area to help them regulate their body temperature, and perhaps a mist of water to maintain humidity levels, says Cant. In contrast, wild reptiles are able to move between microhabitats with differing microclimates to meet their needs – not only during the day, but from season to season as well. “Captive environments just can’t replicate this complexity,” says Cant. Myth: Reptiles don’t need specialized nutrition. Many reptiles in captivity are fed diets consisting entirely of frozen rodents like mice and rats or live insects like crickets and mealworms. Obviously, though, reptiles in the wild have a far more varied diet that provides different scents, tastes, textures and nutrition – not to mention foraging challenges. “Again, it’s just another example of a need that we’ve assumed is simple and easy to meet,” says Cant. 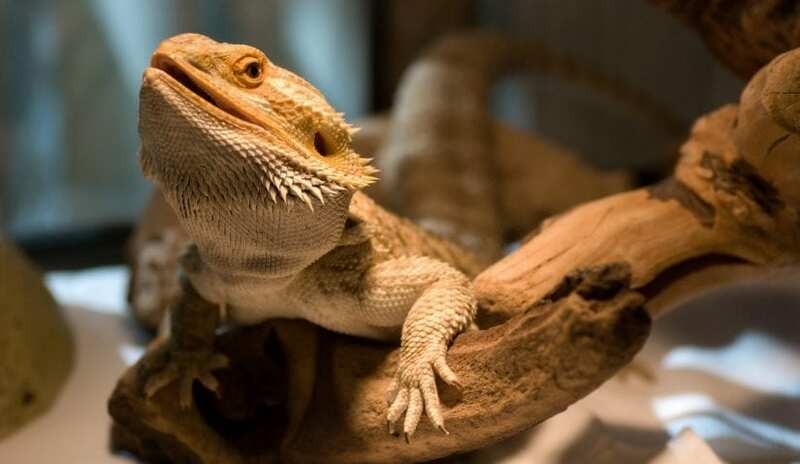 Which reptiles and other exotic animals are illegal in B.C.? What are the animal welfare, health and safety, and environmental concerns around exotic pets? Sign up for WildSense to learn more about the unique issues and challenges of wild and exotic animals in B.C. WildSense also keeps you up-to-date with Wild ARC and its public events. Subscribe today!